YOUNGER workers do not have to worry about not saving enough for their retirement, as long as they keep working and buy Housing Board flats within their means, said Manpower Minister Tan Chuan-Jin yesterday. To illustrate the point, the minister used a hypothetical case of a polytechnic graduate with a monthly starting pay of $2,200. He would save enough in his Central Provident Fund (CPF) accounts to receive a monthly payout of about 60 per cent to 70 per cent of his last drawn pay from age 65 for the rest of his life, according to projections by the Manpower Ministry (MOM) to dispel worries young people have about retirement savings. This is even assuming that his monthly salary never rises from $2,200 and that he works only 32 instead of 40 years between age 25 and 65. In MOM's projection, the $2,200 monthly pay is also lower than the median monthly starting pay of $2,400 for polytechnic graduates. The calculations assume that the person buys a four-room HDB Build-to-Order flat with a spouse and they have paid off the mortgage by age 50 with CPF savings. At age 25, he will start saving about $130 each month in his CPF Special Account (SA). The monthly SA contribution gradually rises to $250 for the 50-to-55 age band, and falls to $50 for age 60 to 65. Despite the fluctuations, the 25-year-old would still accumulate about $165,000 in his SA by age 65 because CPF interest rates are compounded, said Mr Tan. Without the compounding interest, he would save only about $55,000 if he stashed away the cash in a biscuit tin. "This is not magic, it is just basic mathematics," said Mr Tan. He noted that the projection was conservative and did not factor in wage growth and CPF Ordinary Account balances. "And if you add those, clearly, he would have even more." 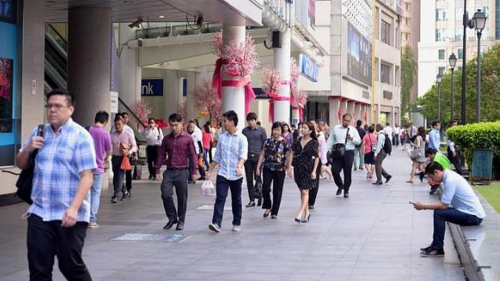 "The retirement picture for younger Singaporeans is relatively healthy," he said. "Most Singaporeans who work regularly, and make prudent housing options, should have no worries building up a comfortable retirement nest egg within the CPF system." The polytechnic graduate scenario was one of two examples he cited in Parliament yesterday. The other concerned a hypothetical example of a breadwinner who earns $3,500 each month and turns 55 next year. This was to illustrate the decisions he has to make at 55 on how much to set aside for retirement, and then at age 65 on whether to make a lumpsum withdrawal or defer it to get higher permanent payouts later. The minister acknowledged that having more options could make the CPF system more complex. "We can't run away from that," said Mr Tan. But he pledged that the MOM and CPF Board would ramp up their public education drive: "We will scale up and intensify our efforts to first raise awareness and understanding of the CPF system and the new changes."